Home / Blog / Becoming Hawaiian! So we’ve been (living) in Hawaii for 2 weeks now, with probably another month or so to go, and it’s been pretty sweet. Stefan and I have been doing some work on the weekdays in our condo overlooking some massive waves. The scenery is unreal. We’ve been hitting up the local spots, and getting in a daily dose of the ocean at various beaches on the island of Kauai’i. 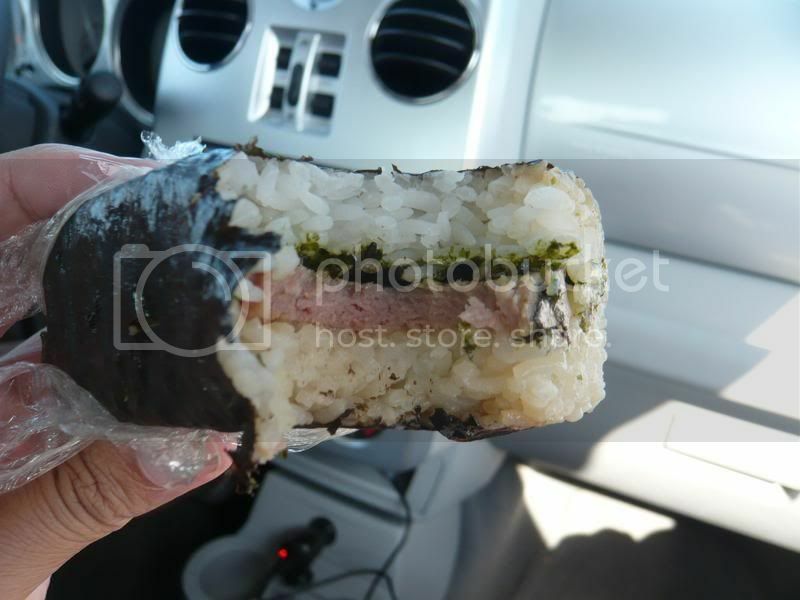 But what I’ve been most excited about so far is the discover of Spam Musabi, which is basically a sushi roll with a piece of spam inside of it. 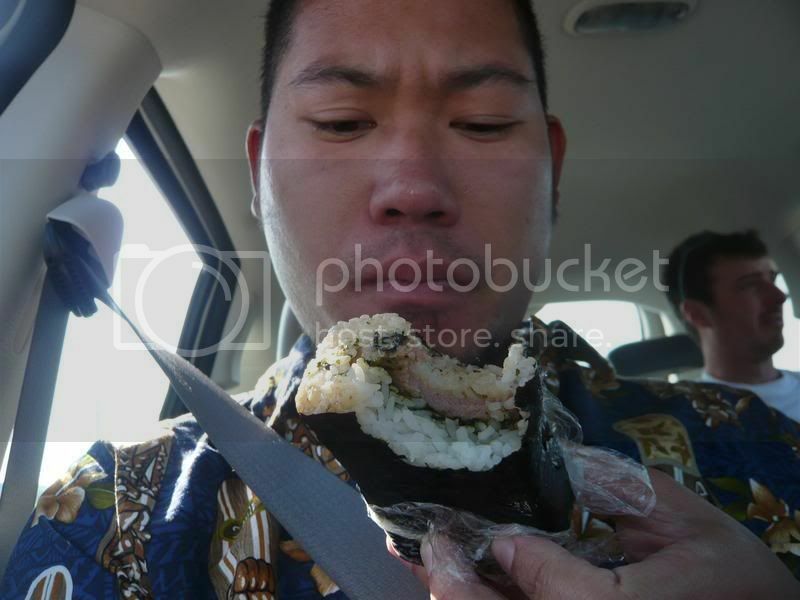 I thought I’d try it out, when I saw a bunch of hawaiian locals choose it at a gas station, and my first bite sold me instantly. It’s good and it’s cheap, under $2. So I’ve been have a double dose of Spam Musabi for breakfast everyday. It’s great. It’s quite ono! Give it a try.